Asphalt Shingle Roofing is probably one of the most common types of roofing material you’ll find throughout Genesee County, Michigan. Asphalt Shingles are affordable and come in literally hundreds of different colors, styles and compositions so you can choose the perfect shingle for your roof. A Better Roof For Less is a full service specialist roofing contractor specializing in Asphalt Shingle Roofing. From your initial roofing inspection through removal and installation we meticulously take care of every aspect of your roofing project. 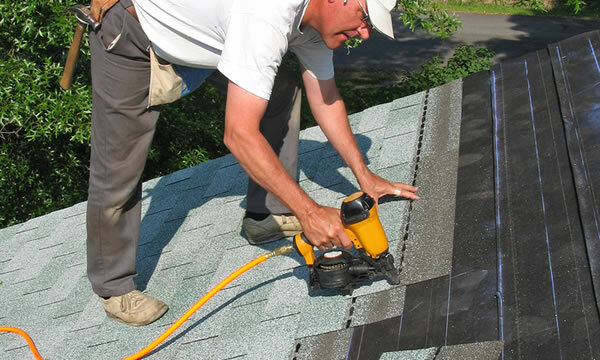 Asphalt Shingle Ratings - The ratings on Asphalt Shingles were formulated by the American Society for Testing and Materials (ASTM). Shingles with a Class 4 rating have more adhesive strips under the tabs which help them resist strong winds. Class 4 shingles also take six nails as opposed to four when fastening the material. The Underwriters Laboratory (UL) test determines durability from wind and hail impacts. A Shingle that can withstand 60 mile per hour winds for two straight hours will gain the UL certification. We understand that you have plenty of choices when it comes to choosing the right Asphalt Shingle Roofing Contractor in Genesee County, Michigan. When you choose A Better Roof For Less to complete a roofing project on your home, you’re getting just that! A Better Roof, For Less Than The Other Guys!.